The Badminton nets In addition to the badminton racket and badminton is one of the basic elementary equipment and divides the badminton field in two equal fields. 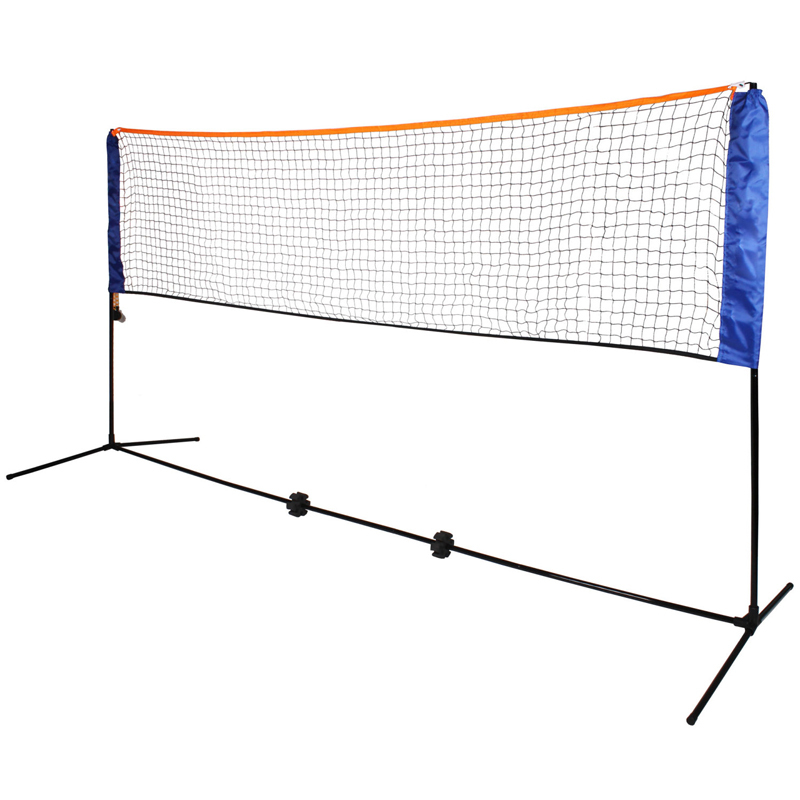 The net made of mesh (polypropylene fibers) has a height of 155cm at the outer post and a height of 152.4cm in the middle of the playing field. We also can provide the custom nets for you, customized items include the material, weaving style, twine diameter, mesh size and form, color, net size, etc. There are some common specifications of badminton nets, please check them and hope it’s helpful for you. The official Badminton nets height is 152.4cm in the middle and 155cm at the outer support post, This is often overlooked and there are problems with point or tournament games. The measurements must be measured from the bottom of the field and at the outer playfield lines. Important: The net must sag slightly, as 2,6cm make up a lot with a net height of only 155cm. The badminton net is made of polypropylene (chemical fibers) and processed with 1.2mm thick polypropylene fibers to a mesh. The advantages of polypropylene lie in the good pull, scuff resistance and that it is the lightest textile fiber ever. As an alternative, there are also nylon nets made of polyamide / polyester (nylon is a collective term for polyamides). Mesh size:The mesh made of very strong yarn must have a Mesh size of 15-20mm so that the badminton ball does not get caught in the net. 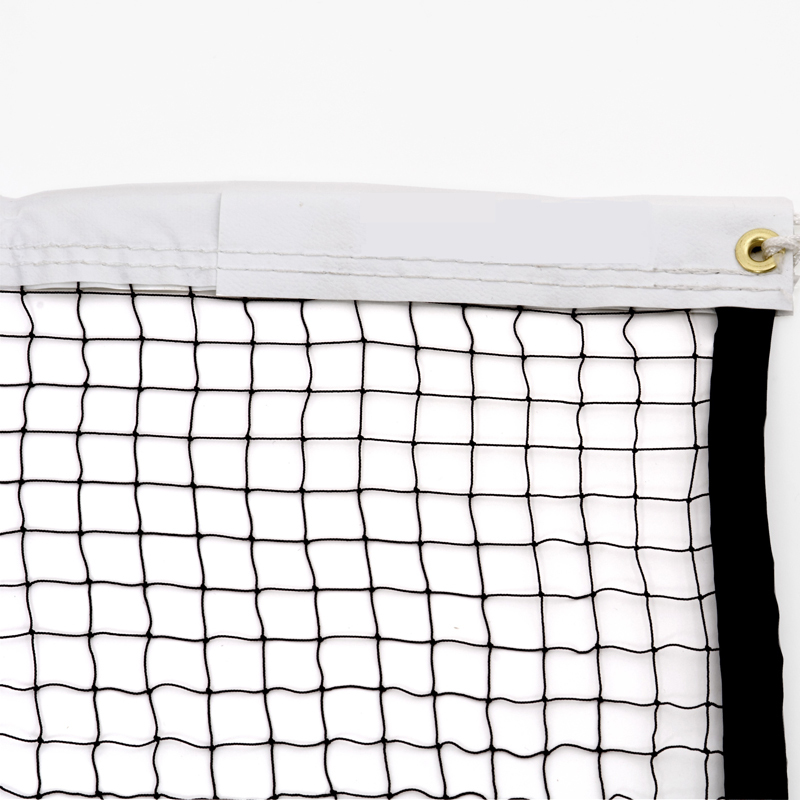 Mount at the top of the net:At the upper edge of the Badminton net is a polyester edging in which the Kevlar, nylon or steel rope is located. This enclosure is very tear-resistant, since in the covering of the network high clamping forces act and the badminton player is protected against any risk of tearing. Individual adjustments of the rope and net length are possible and must be discussed with the Badmintonshop supplier. Please feel free to contact with us if any more questions.